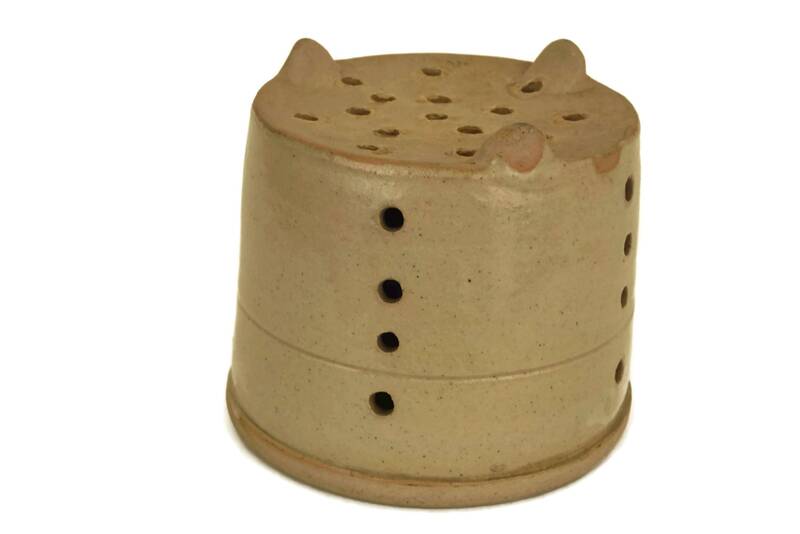 A traditional French cheese strainer and mold used for making Faisselle cheese. 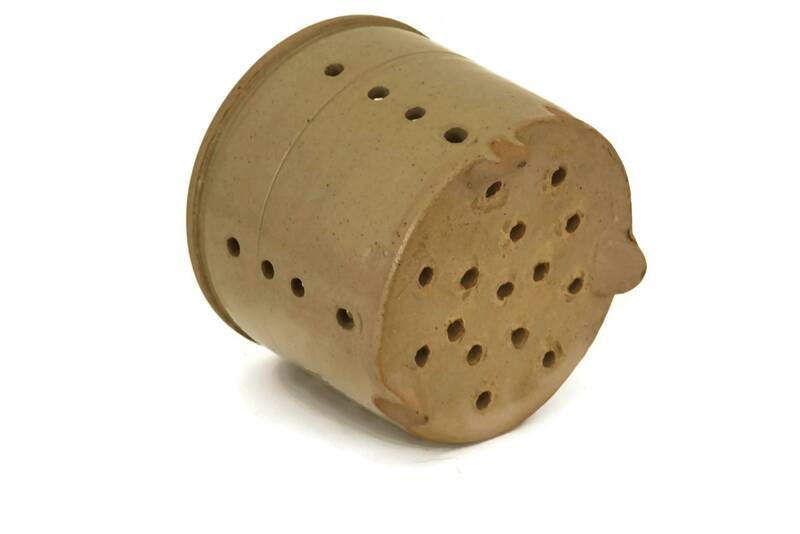 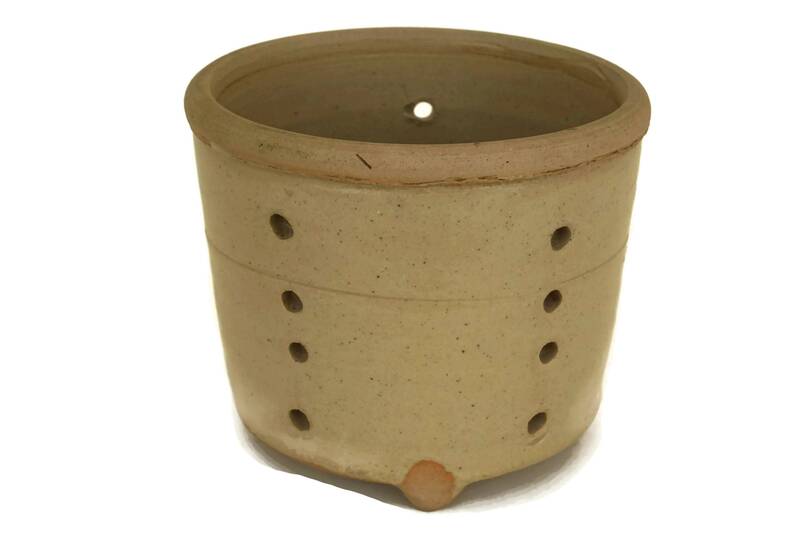 The large vintage strainer has been made from stoneware and glazed in a classic shade of beige. 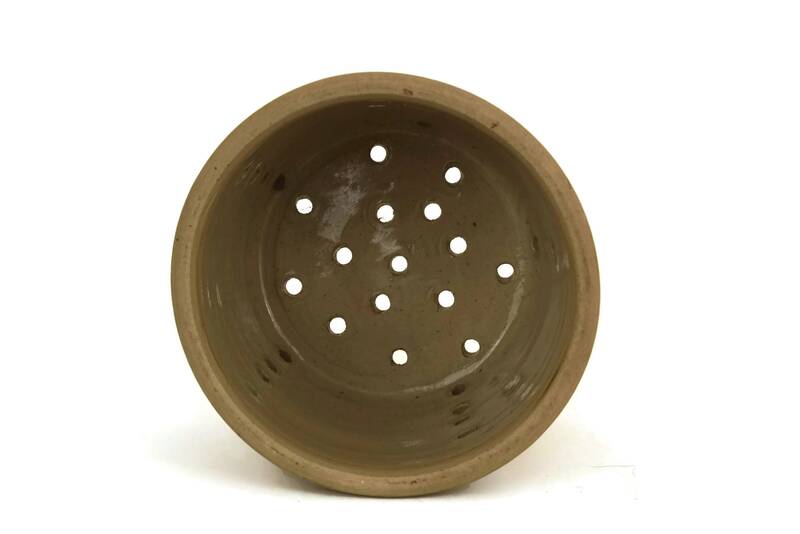 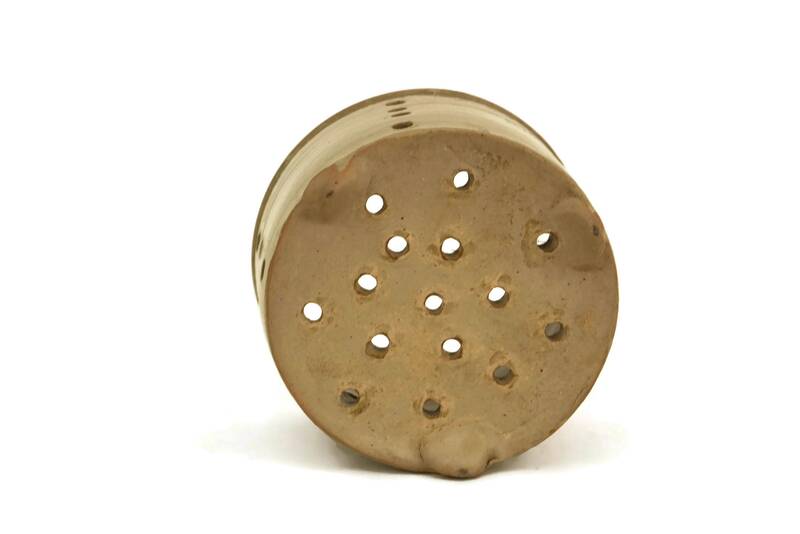 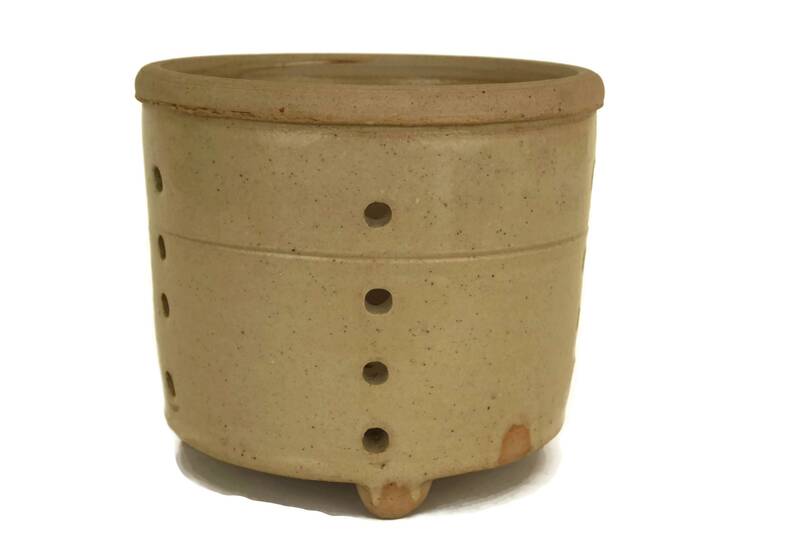 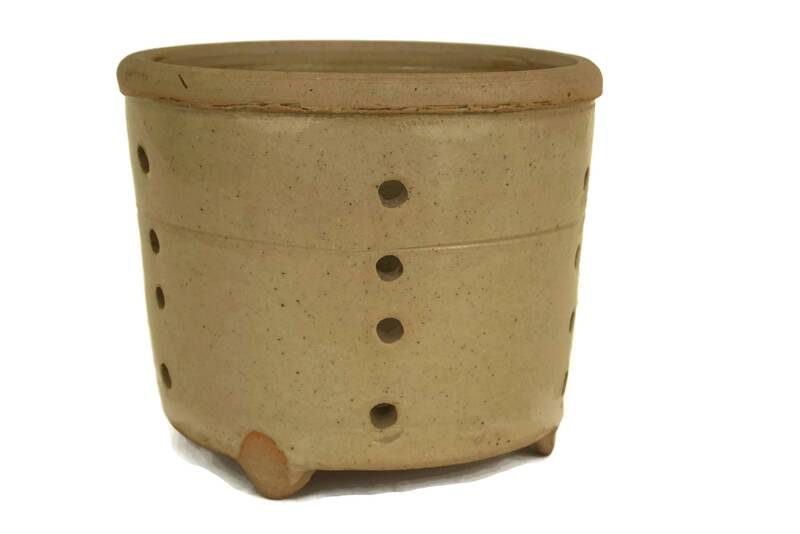 It has vertical lines of small holes around the sides and several holes on the base. 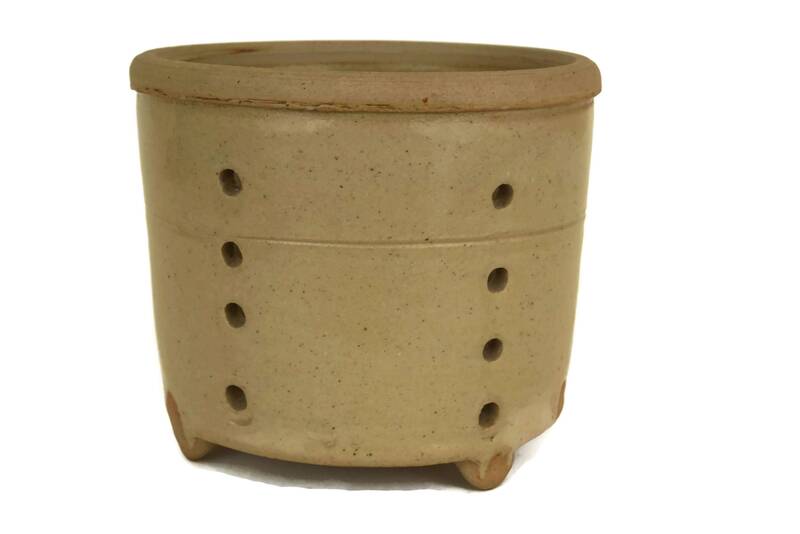 The mold rests on 3 feet. 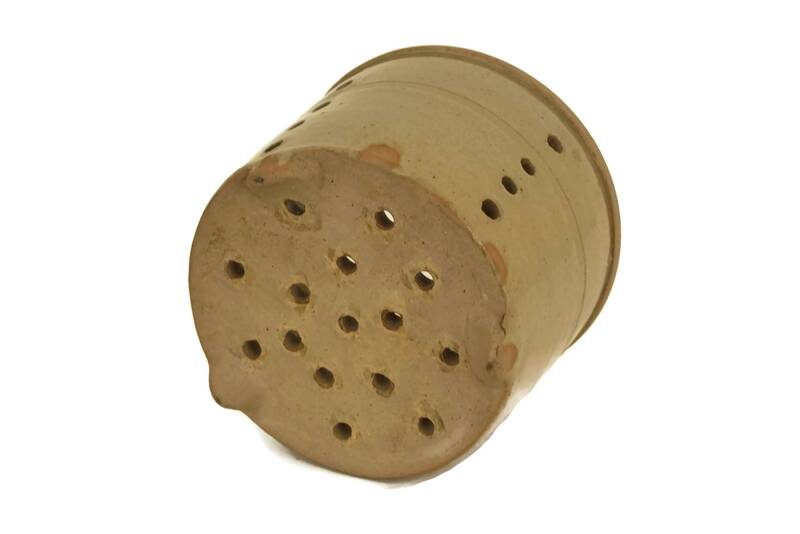 (11.5 cm x 10 cm). 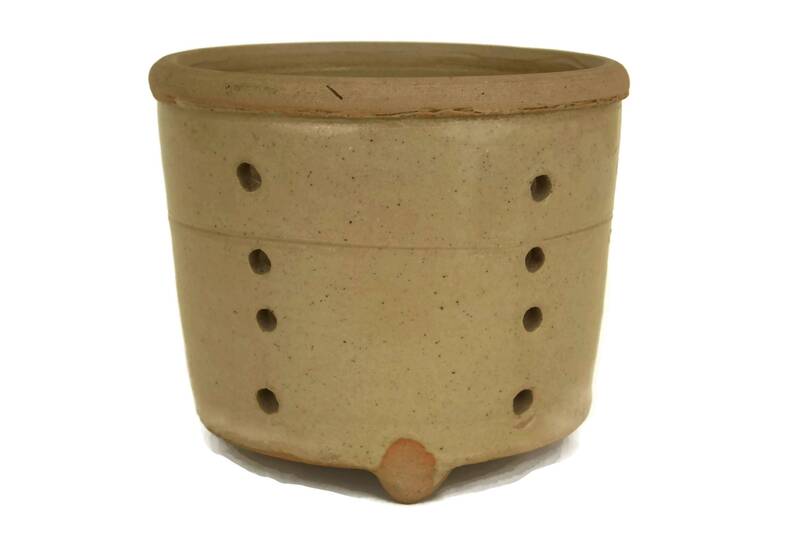 The cheese mold is in very good vintage condition with light wear.